Yup. 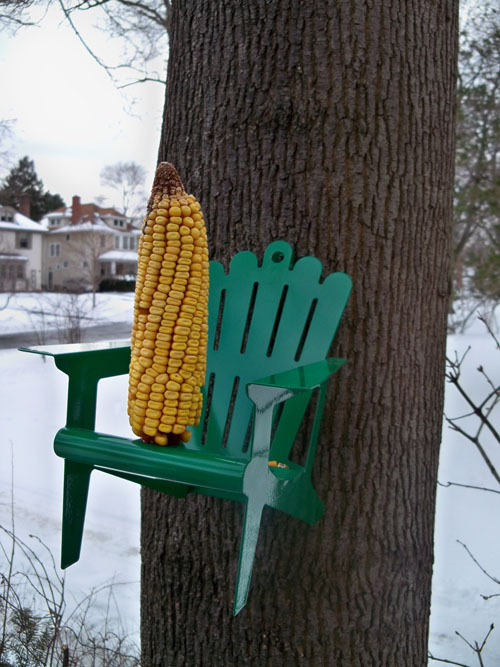 That is a mini adirondak chair holding an ear of corn, attached to a tree. 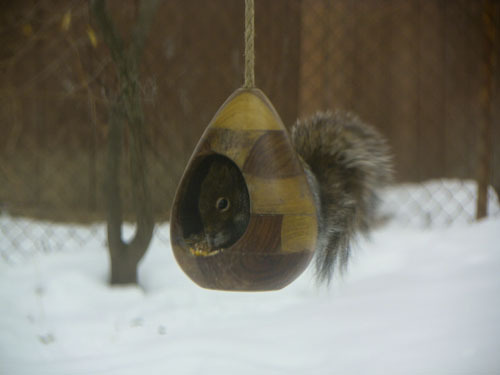 Earlier this winter I noticed some uninvited guests eating the food I put out for the birds. 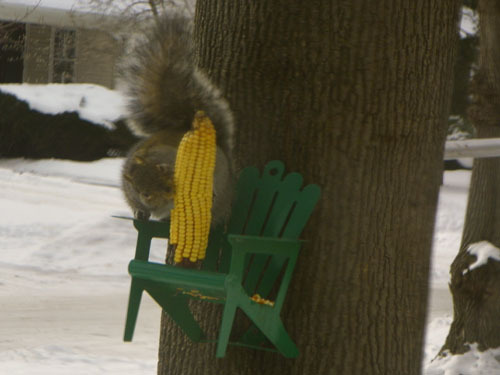 I thought a chair with tasty corn might lure the squirrels away from the bird food. It cracks me up to see them sitting out on the chair having a snack. They now might expect to find a little umbrella and cocktails in summer though. That's adorable! Is the corn cooked or raw? 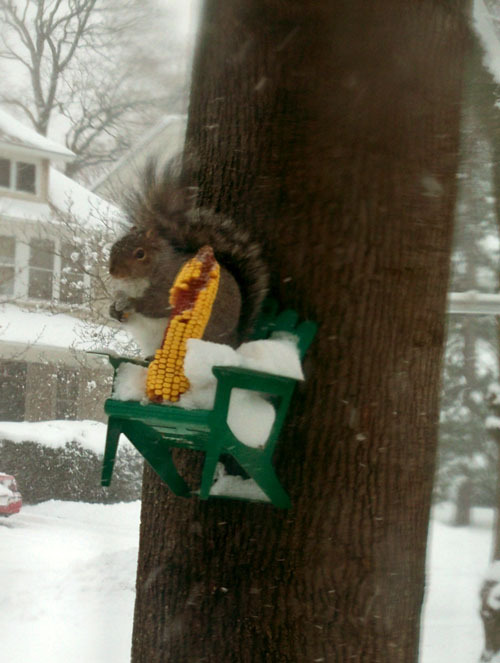 Or do you buy special squirrel corn? Shannon - it not cooked - it is hard and dried though - what they call "feed corn". I did find it at the pet store as squirrel food. I tried distracting the squirrels with seed corn one year, but I just ended up with twice as many squirrels and they still ate up all the bird seed. the chair is cute, though. That is a chubby squirrel! So cute! Meshbetty - no we bought the chair - I wish I had thought of it! Maybe other things for squirrels to sit on - like a motorcycle!